Plain flavour with strawberries, blueberries and brownies. Yum. 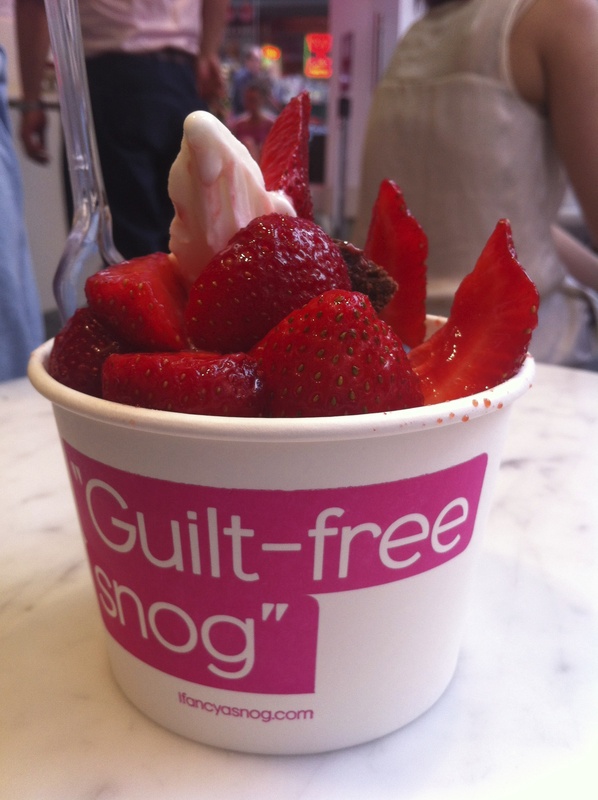 From Snog‘s Soho branch. Tags: blueberries, brownies, froyo, frozen yoghurt, strawberries. Bookmark the permalink.